Scandinavia may look idyllic from a distance, what with royal families and prime ministers almost without security, but it has endured its fair share of violence, from the assassinations of Swedish prime minister Olof Palme and foreign minister Anna Lindh to two school massacres in one year in Finland, one killing eight, the other ten. Anders Behring Breivik's rampage, in other words, was hardly unprecedented. In the past, one had the cold comfort of knowing that deranged acts such as his were carried out by individuals under the sway of extremist ideologies. Not so Behring Breivik. This terrorist lists among his favorite authors George Orwell, Thomas Hobbes, John Stuart Mill, John Locke, Adam Smith, Edmund Burke, Ayn Rand, and William James. The disconnect between Behring Breivik's mainstream political conservatism and his psychological derangement presents a shocking new dilemma and challenge. 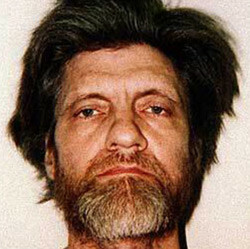 Behring Breivik plagiarized the Unabomber, Ted Kaczynski. That said, there is no reason to think that Behring Breivik has a single follower, that any other mainstream political conservative will emulate him and massacre socialists. This has never happened before and will probably never happen again. This is a gruesome, freakish exception. And yet, this exception does tell conservatives that we have to be aware of a danger we had not thought of before. We may oppose socialists, but not vilify them. Given how meticulously Behring Breivik planned not just his bombing attack and gun rampage but also his posting of a manifesto and a video, and given his plans to turn his trial into political theater, his terrorism appears ultimately intended primarily to bring attention to his political views. Indeed, during his initial court appearance on July 25, the Associated Press reports, he presented the violence "as 'marketing' for his manifesto," 2083 — A European Declaration of Independence. In this way, Behring Breivik resembles the Unabomber, Ted Kaczynski, who engaged in violence as a means to market his 1995 manifesto, Industrial Society and Its Future. Indeed, the tie between these two is very close: Hans Rustad documents how extensively Behring Breivik plagiarized from Kaczynski, changing only some key words. Add to these two Timothy McVeigh (the 1995 Oklahoma City bomber) and Baruch Goldstein (the 1994 Hebron mass killer) and one has the four outstanding exceptions to the dominant rule of Islamist mass murder. One website, TheReligionOfPeace.com, counts 17,500 terrorist incidents on behalf of Islam in the past ten years; extrapolating, that comes to some 25,000 since 1994. We are dealing with two very different orders of magnitude. As David P. Goldman notes, "there is a world of difference between the organized use of horror by terrorist movements and the depraved actions of individuals." Yes, we must worry about non-Islamist violence too, but the Islamist variety prevails and, being a vital extremist movement, will continue to do so. Ravi Shankar, executive editor of the New Indian Express, writes that "What happened in Oslo Friday may be the early beginning of a new civil war — Europeans fighting each other, both Muslim and Christian." He could well be right. As I argued in a 2007 analysis, "Europe's Stark Options," the continent's future is likely to consist of either Islamization or protracted civil conflict. I sketched the possibility of "indigenous Europeans — who do still constitute 95 percent of the continent's population — waking up one day and asserting themselves. 'Basta!' they will say, and reclaim their historic order. This is not so remote; a chafing among Europeans, less among elites than the masses, loudly protests changes already underway." Although he attacked socialists, not Muslims, Behring Breivik clearly fits this chafing. More broadly, he fits into a pattern of growing Christian-Muslim violence visible from Nigeria to Iraq to the Philippines.
. . . a tolerant Islam is a contradiction, and the "creation" of a tolerant past for Islam to appease the position of liberal Muslims is a lie.
. . . to take the violence out of Islam would require it to jettison two things: the Quran as the word of Allah and Muhammad as Allah's prophet. In other words, to pacify Islam would require its transformation into something that it is not. Islam today is what it has been fourteen centuries: violent, intolerant, and expansionary. It is folly to think that we, in the course of a few years or decades, are going to be able to change the basic world outlook of a foreign civilisation. Islam's violent nature must be accepted as given. Many moderate cultural conservatives have suggested that banning Sharia will solve all our problems and force the Muslims to integrate. Unfortunately, Islam is a lot more resilient than most people can comprehend. . . . Taking Sharia (and all political aspects) out of Islam is simply not possible. This position differs fundamentally from my own, which holds that "radical Islam is the problem, moderate Islam is the solution." While sharing common opponents, these two outlooks differ on the nature of Islam, its potential for change, and the possibility of allying with Muslims. I anticipate that the Norwegian media will persecute and undermine the Progress Party for my earlier involvement in the organisation. This is not a negative thing as an increasing amount of Norwegians will then have their "illusions of democratic change" crushed (if the Progress Party is annihilated by the multiculturalist media) and rather resorts to armed resistance. In a similar spirit, he writes: "America as a polity is scr*wed, and thank the gods for that." The reason why authors on the Eurabia related issues/Islamisation of Europe — Fjordman, Spencer, [Bat] Ye'or, Bostom etc. aren't actively discussing deportation is because the method is considered too extreme (and thus would damage their reputational shields). . . . If these authors are to [sic] scared to propagate a conservative revolution and armed resistance then other authors will have to. Behring Breivik hopes to undermine anyone he perceives as obstructing his dreamed-for revolution. Temporarily, at least, he has succeeded. Daniel Pipes is president of the Middle East Forum and Taube distinguished visiting fellow at the Hoover Institution of Stanford University. © 2011 by Daniel Pipes. All rights reserved. June 12, 2012 update: I pursue the issue of Behring Breivik's relationship with those of us fighting radical Islam in a weblog entry, "Did Anders Breivik Intend to Harm the Counter-jihad?"